You are here: Home / Lawn Mower / Best Lawn Mowers for Small Yards: Know Your Options Today! Mowing the lawn is a hassle. It can be frustrating if after putting a ton of effort, the lawn looks less than perfect. It could also mean that you didn’t choose the right mower. 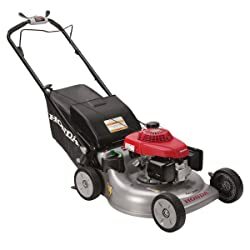 A small yard needs comparatively less effort to be maintained, however, to make your life easier, you need to choose one of the best lawn mowers for small yards. Finding the right mower for your yard can be quite complicated because you need to select something that is right for the size of your yard. Buying an expensive lawn tractor or rear-engine rider would make no sense when you have a tiny lawn. You need an affordable yet reliable mower that gets the job done quickly. Here are some of the best mowers for homeowners with a small yard. The mower is quite suitable for most turf grasses and with its cutting width of 14 inches it helps complete the mowing task in a short time. 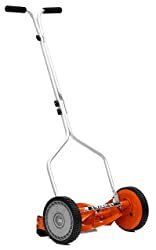 It comes equipped with a bed knife blade that is efficient and durable, whereas its easy-roll wheels make it easier to go to hard-to-reach places. You can adjust the cutting height as well, but keep in mind that this budget mower cannot be compared with high-end mowers in terms of its cutting quality. The grass may not be of the same length in all the areas after cutting, as it can occasionally miss a small spot here and there. But you can use the mower again in those areas to get a better look. The biggest highlight of this lawn mower is its 20-inch steel deck that is extremely durable and efficient. It runs on a powerful 12A motor, so it is capable of delivering level cutting results. 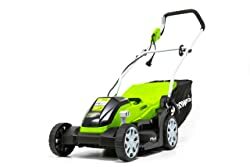 You will also like the fact that it is a 3-in-1 mower with side discharge, mulching, and rear bag. The adjustable lever height enables you to use it with ease while cutting grass. The only thing to bear in mind is that this corded lawn mower comes with a manual drive system and it is not self-propelled either. It is light enough though, so you shouldn’t feel fatigued while using it. The cutting deck is not wide enough. The MO0pB01is a reasonably good option for anyone looking for the best lawn mowers for small yards, mainly because of its powerful 9A electric powered motor. You can rely on it to easily cut through tough grass. Interestingly, it also comes equipped with mulching as well as rear discharge abilities. Many people opt for it simply because of the ease of changing from mulching to basket. Its 5-position height adjustment is an added benefit, especially when you’re dealing with wet, heavy, tall grass. The only issue you may have is that the deck size could be larger, as it comes with a 14” deck while others easily offer wider than 20” decks. A nicely built mower for small yards, this mower from Snow Joe comes equipped with a 600W brushless motor for impressive cutting. With its 15-inch wide durable steel blade, it helps you level your small yard within minutes. Its rear all-terrain wheels are quite suitable for handling large grass, whereas its compact design allows you to reach tight spaces with ease. You can easily adjust the cutting height using a lever, and once you have finished cutting, you can detach its 9.25-gallon grass bag with ease to get rid of grass clippings. It is a cordless mower, which only makes it a bit more convenient to use. It relies on a battery to work, so it requires some added maintenance. Moreover, the handle is not foldable, so you may have some difficulty storing it away. 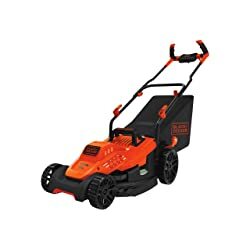 With a 10A motor and improved ergonomics, this mower from the Black-Decker is capable of delivering a solid performance. It is easy to maneuver the mower, thanks to its comfort grip handle. A notable feature is that you do not have to pull the cord to start it, as it comes equipped with a simple push-button start operation. When cutting thick grass, you can expect good control because the mower comes with rugged wheel treads. The only thing you need to keep in mind is that though the winged blade helps achieve better clipping collection, there is nothing to catch that grass. The good thing is that it stays under the deck, instead of flying everywhere. With a robust 10A motor, the GreenWorks 27022 works efficiently in your small yard. It only comes with 14” dethatching path, but depending on the size of your yard, it may be enough to help you complete the world in a reasonably short time. Another good feature is the availability of stainless steel tines with 3-position depth adjustment. Not only does it make it quite durable, but it also ensures better control by getting rid of matted layers first. Depending on how often you use it, you may have to look for steel tine replacements, which is actually easy to find. 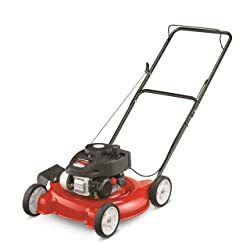 For people looking for the best mowers for small yards, this mower from Honda seems to be a good choice. You can adjust its speed considering the type of work you’re doing – you can change it between 0 and 4mph. It comes with a reasonably powerful engine that is capable of producing 6.5HP. The best thing is that you can get it started and make it work on the very first pull. The Engine is CARB and EPA compliant and also supports the auto choke function. The presence of Micro-cut dual blades allows for better cutting, but keep in mind that you will have to sharpen the blades often, which may be a bit troublesome. 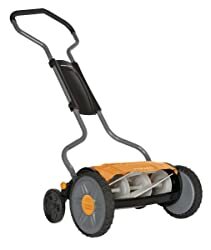 It is easy to store this mower, as you can easily fold its 2-position handle. Overall, it is an important mower for small lawns, but it could have been much more impressive had it come with a washout port. This Yard Machines mower is capable of delivering a good performance with its 140cc engine. Interestingly, it comes with a 4-cycle engine, which can generate enough power to mow your small lawn in no time. 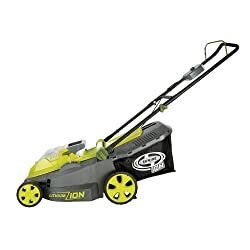 Thanks to its solid power and 20-inch frame, you can also rely on it to mow a medium sized yard. With its compact size, it is easy to access tight corners and cut the shrubs with ease. You can adjust its cutting height manually though. 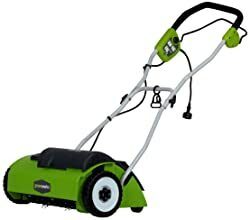 It is a smart and highly efficiently mower that allows for a cleaner cut without making you waste money on oil, gasoline, electric cords, and even battery charging. It may seem to be a bit heavy, but its innovative design makes it relatively easier to push. The addition of the inertia drive system delivers an improved cutting power to help you remove weed, twigs, etc. Unlike many other mowers for small yards, it cuts without touch the surface of your yard, which reduces friction and keeps the blade functional for long. It also eliminates the constant need to sharpen the blade. Moreover, the mower is not loud at all, which is another added benefit. Unfortunately, it is not going to tackle very long grass or sticks in your yard. One of the very few mowers that need little to no human intervention to mow your lawn, after the time taking initial set up. Although it is reasonably powerful, it is designed mainly to handle a working area of no more than 0.5 acre. It is a battery-powered mower, but it is ready to work in 65 minutes. It comes equipped with GPS navigation that allows for efficient mowing, especially when you have a number of demanding areas in the yard. It is capable of handling steep slopes with some authority, and the use of smart technology helps level areas of long grass. You can try different settings on its large display, which makes this robotic mower even more useful. Keep in mind that you will have to contact the company get a pin code to get your mower working, which can be a big hassle at times. Consider the availability of washout port because it makes it extremely convenient to clear clippings using a hose connection. Whenever possible, opt for a mower with an electric start because it will save you from a lot of hassle. Put your money on a folding model. It may cost you some extra cash, but it collapses and can be stored with utmost ease. 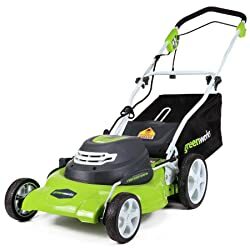 Pay attention to the quality of the wheels when buying the best lawn mowers for small yards because the mowers with uniform wheels are much easier to maneuver. Lawn mowers can be of many different types, but you should pick one that is suitable for your space. Do not waste money on a larger mower when a small one can do the job, but be sure to look for the added features for the ease of use.